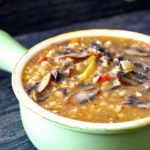 This mushroom barley soup is total comfort food! As I write this, we are just a few days into spring. The sun is out but the air still has just the slightest bit of chill to it. It’s our one week of spring in California before we go full-force into summer weather, but I’ll take it! 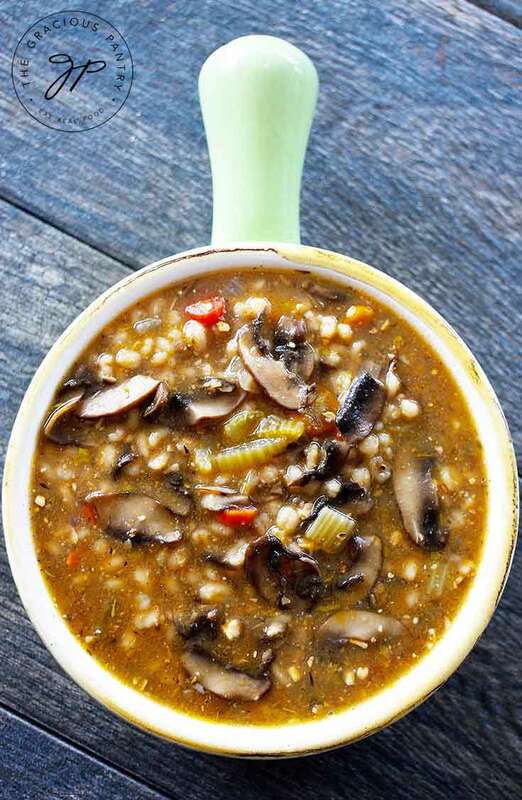 This soup is particularly well suited for both winter and spring. It’s light in the belly, but still hearty and filling. It’s perfect with a slice of crusty garlic bread and a side salad. 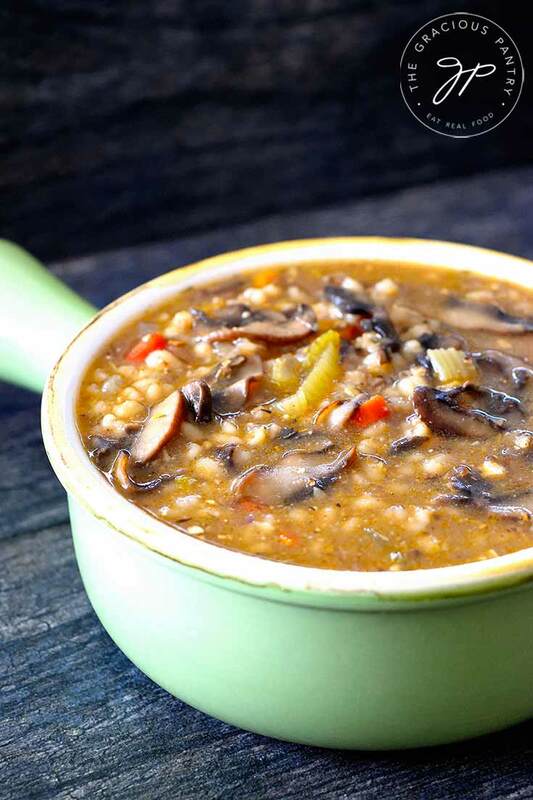 A wonderful soup to ward off that chill in the air! Barley was one of the first cultivated grains. It shows up in history as early as 10,000 years ago. It’s a cereal grain that is often used for livestock or brewing. Barley has tons of fiber! It can aid in lowering cholesterol. It’s been said to help build good bacteria in the gut. The high fiber content makes it a possible good grain choice for those with high blood sugar. Add the oil to you IP insert and press the sauté button. Add the carrots, celery and onions to the oil and saute until the onions are translucent. Now stir in the mushrooms and continue stirring until they are fully wilted and some of the liquid has come out of the mushroom. Close the lid, close the vent and press the "manual" button, adjusting the time to 20 minutes. When the cooking time is done, allow 10 minutes for a natural release, and then do a quick release for any remaining steam. Add any additional salt as needed and serve with some crusty garlic bread. In a large stock pot, warm your oil and then add the carrots, celery and onions. Sauté until the onions are translucent. Add in the mushrooms and cook for about 5 minutes, or until the liquid from the mushrooms has started to "grease" the pot a bit. Add in the thyme, salt and mushroom soup mix (or ground, dried mushrooms). Finally, add the broth and barley and cook to package directions for the barley.